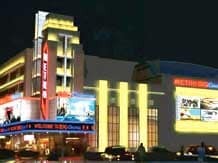 Carnival Group will invest Rs 500 crore for expanding its foot print in multiplex segment, on a pan India basis, by 2017. Talking to Business Standard Srikant Bhasi, chairman, Carnival group said that by 2017 the group will add 500 plus new screens, taking the total to 1000 across the country. He said that 200 screens will be added in Madhya Pradesh shortly and more screens will be added in tier -1 and tier- 2 cities. The company will add 40 screens in next six months time taking the total number of screens to 413. "Our main focus is on entertainment business where we see tremendous scope. Yet we plan to have an organic growth pattern in this growing segment. There is not much scope for inorganic growth, so we focus much on green field facilities across the country, mainly in tier -1 and tier- 2 cities, he said. He also said that the company has big plans to acquire more real estate properties wherever there is scope for generating more rental yield. If we see any property which have scope of revenue generation we will definitely look into it. We target those areas across the country where rental revenue could be enhanced. At present we have no immediate acquisition plan, yet definitely we are looking at good properties across India, Bhasi added. Talking to Business Standard he said that commercial aspect of the realty segment is still not bullish. Yet there is scope for generating rental revenue in major centers of the country. He added that the latest acquisition of the commercial complex of L&T in Chandigarh is a major step ahead in this area as more revenue could be generated. The company plans to increase the rental revenue of the newly acquired property by 10 per cent within next 6 months time. At present the revenue is between Rs 165 -170 crore per annum. The group will use the non-utilised areas of the mall for this purpose. We have chalked out an aggressive marketing plan for this and the space occupancy will go up, he said. Across the world malls are not only commercial areas, but entertainment zones too. So we concentrate more on entertainment business coupled with space marketing action plan, Bhasi said.